The hepatitis C virus (HCV) is a global public health threat with significant morbidity and mortality. Due to its asymptomatic nature, it is also a silent epidemic with an estimated 71 million infected globally, but only 20% diagnosed (1,2). In 2013, the introduction of new, safe and effective treatments for HCV created an opportunity to eliminate the disease. However, in some settings, this development represents a serious challenge for countries’ health spending as they are faced, for the first time in history, with a fast-acting curative treatment for a widespread chronic viral disease which offers little risk of resistance or relapse. In addition to treatment costs, the cost of scaling up testing to find the non-identified infected individuals and implementing effective models of care for diverse populations, represent an additional challenge. Greater efforts are needed to ensure that all elements of cost of HCV elimination, which include surveillance, monitoring, awareness, screening, prevention and treatment programmes, are affordable. Preliminary data suggest that the WHO HCV elimination strategy may be cost-saving for many countries (3, 4). That is the savings related to preventing and treating HCV may exceed the cost of HCV elimination, providing good value for money given the high initial spending. Strategic Direction 4 of the WHO Global Health Sector Strategy on Viral Hepatitis 2016-2021 “Financing for sustainability” (5) sets out financing recommendations for a sustainable hepatitis response, outlining actions to raise revenue to pay for viral hepatitis interventions and services, set-up financial risk protection, and improve efficiency in the use of health system resources. 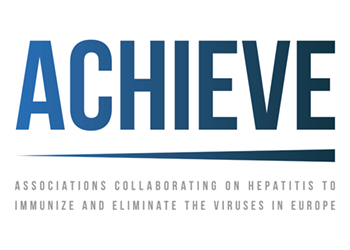 On 17 February 2016, the launch of the HCV Elimination Manifesto “Our vision for a Hepatitis C-free Europe”, provided a starting point for action to make HCV and its elimination in Europe an explicit public health priority (6, 7). With patients, civil society groups and other relevant stakeholders directly involved in developing and implementing HCV elimination strategies, now is the time to take the next step further and make the HCV elimination affordable. We, the signatories of the Call to Action “Secure sustainable funding for hepatitis C elimination plans” are committed to HCV elimination in Europe. Exchange and implement best practices on funding healthcare and HCV elimination, including via micro-elimination approaches (8), at the national, regional and local levels to meet the WHO elimination goals by 2030 and preferably much earlier. WHO Global Hepatitis Report 2017. The Polaris Observatory HCV Collaborators. Global prevalence and genotype distribution of hepatitis C virus infections in 2015: a modelling study. Lancet Gastroenterology Hepatology 2017 Mar,2(3):161-176. Kondili L et al. Modeling cost-effectiveness and health gains of a “Universal” versus “Prioritized” hepatitis C virus treatment policy in a real-life cohort. Hepatology 2017 Dec;66(6):1814-1825. Chhatwal J. “Is hepatitis C elimination cost saving?” 2nd EU HCV Policy Summit, Brussels 2018. Global Health Sector Strategy on viral hepatitis 2016-2020. WHO, 2016. 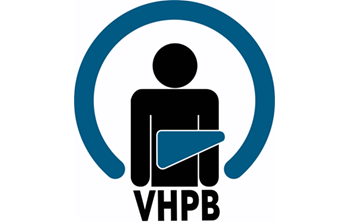 Action plan for the health sector response to viral hepatitis in the WHO European region. WHO, 2017. I endorse the Call to Action Please, tick this box to endorse the Manifesto.